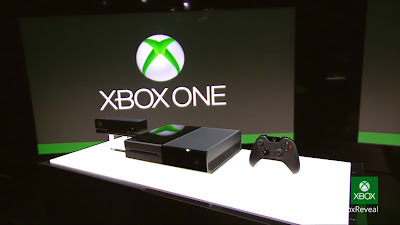 Home » XboxOne » Will the Xbox One Be Your Overly Attached Girlfriend? Will the Xbox One Be Your Overly Attached Girlfriend? With the latest news about the North-American espionage tradition and surveillance system, a lot of companies have talked publicly about this issue, stepping forward to ensure protection to their client or to admit that they read the personal data of their customers. It’s the digital security fever and it’s spreading beyond the United States, especially because of a certain device that will be in millions of gamer's houses: the Xbox One! Despite all the concerns regarding privacy – since the console has the Kinect system equipped with cameras and microphones that continuously record the lives of countless families –, the device will be in a lot of new homes by the end of the year. Look at it like an overly attached girlfriend: can’t live with, but can’t live without as well. She smothers you, but you just love her! Since the privacy concerns were starting to escalate, Microsoft guaranteed recently that the company will not abuse the power given by the Xbox One to watch their customers. According to Microsoft, the footage and audio captured by the console will not be transmitted directly to the company’s servers without the consent of users. And this is also valid for the data collected, which will be encrypted. Just like a clingy and jealous girlfriend that promises to behave, but you’re always on the lookout, trying to see her behind you in the street. For some people, the biggest problem lies in the fact that companies can change their privacy policies at any time without notifying its customers promptly. However, Phil Harrison, vice president of Microsoft, have already ensured that the company will never use Kinect to spy on anyone. He also stated that the government has no authority to require companies to collect information without permission, whether it’s audio or video. Therefore, the owners of an Xbox One might have a chance to be safe after all. Despite all this controversy, the Xbox One fans are pretty anxious to get their hands on the latest gaming technology and spectacular titles announced throughout the previous months like Fifa 14, Forza 5, NBA Live 14, UFC or Call of Duty: Ghosts. And since Microsoft changed the first decisions regarding digital rights managements and the always-online requirements, the players are expected to have a better experience. Besides, the company confirmed that the Xbox One will now allow users to play while they are downloading content to the system's hard drive. The announced changes and this new feature might make the Xbox One more appealing to gamers. At least, she’s not acting like a restricting and control freak. Nevertheless all its flaws and its scary similarity to an overly attached girlfriend in some cases, the Xbox One has been in a fierce pre-release competition with Sony’s PlayStation 4, with both devices selling out of pre-sale units at several retailers. However, Sony recently announced that its PS4 will also have a functionality that will allow users to play games as they download. The question that remains is: which “girlfriend” are you going to choose?